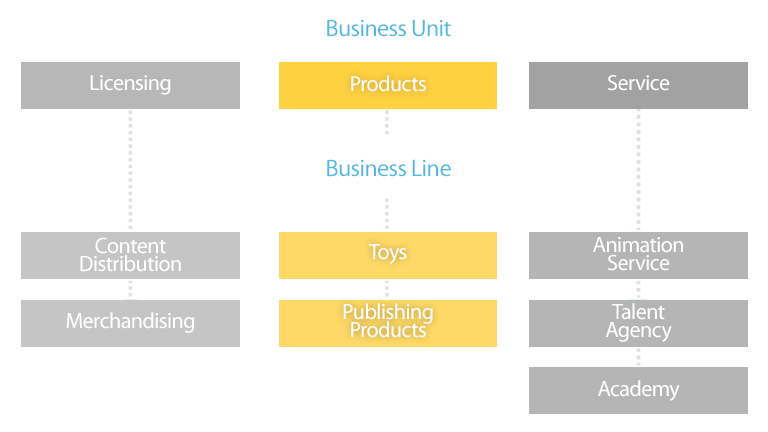 The Product Business Unit relies on the production and commercialization of products managed directly by the Group, divided into 2 Business Lines. The Toys business line mainly focuses on the production of dolls and playsets through the subsidiary Rainbow Internazionale Ltd., based in Hong Kong, and on their commercialization, managed by the Italian subsidiary Witty Toys. The products follow the collections and characters of the TV series aired in the different countries. This business line consists in the production of publishing products that are subsequently distributed exclusively in Italy, through newsstands spread across the country. The main products realized and distributed are comics, sticker albums, coloring books, DVDs and collectables, related both to the properties of Rainbow Group and to third parties’ ones.